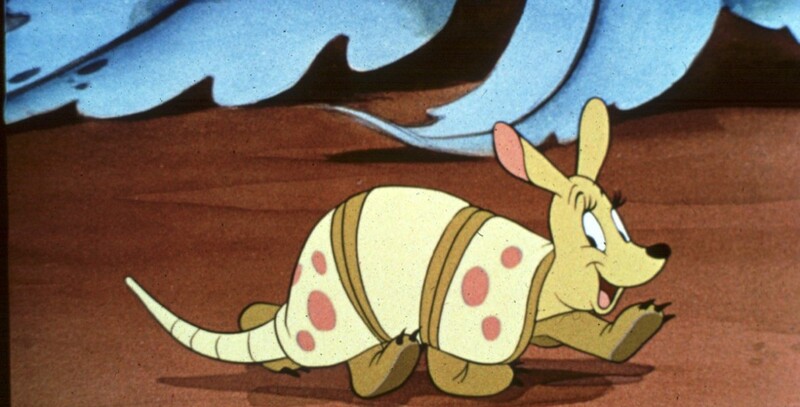 Pluto and the Armadillo (film) Pluto cartoon; released on February 19, 1943. Directed by Clyde Geronimi. Mickey and Pluto are in South America, where they meet a playful friend for Pluto—an armadillo. When Pluto plays too rough, it hides, but finally returns to join Pluto and Mickey on the plane back home.